I always make one last check of the garden. And close up the greenhouse for the night. Next Post They grow up so quickly! I like the watering cans. I wish a greenhouse for you–I am grateful for a husband with carpenter skills! I wish one for you too! 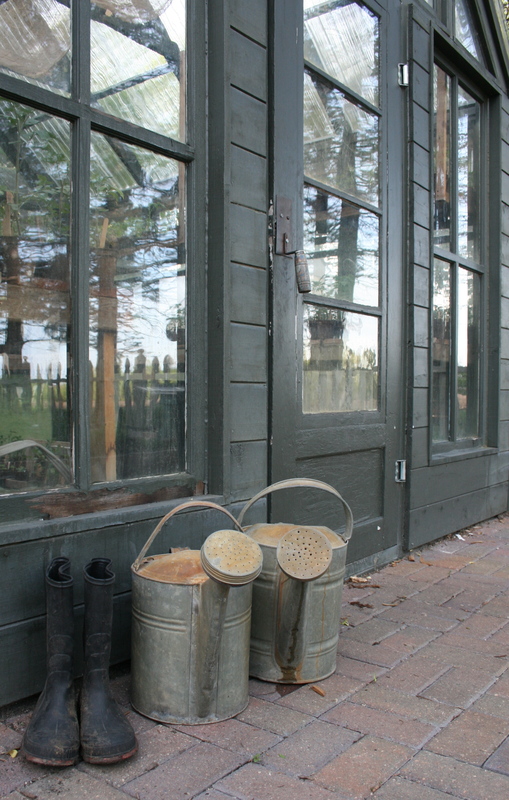 Both the boots and watering cans are used so much in the garden!